Tasks are organized into task lists. 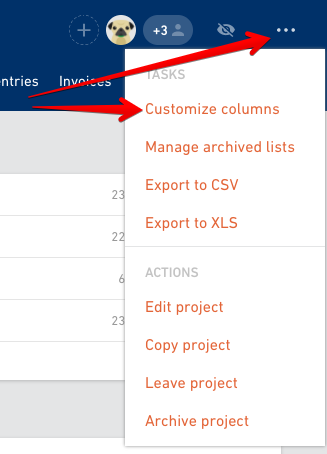 You can create a new task or a task list by clicking the big + button. Task lists are a handy way to organize your tasks into groups. And you can define what these lists mean in the context of a particular project, Productive doesn't try to force it on you. 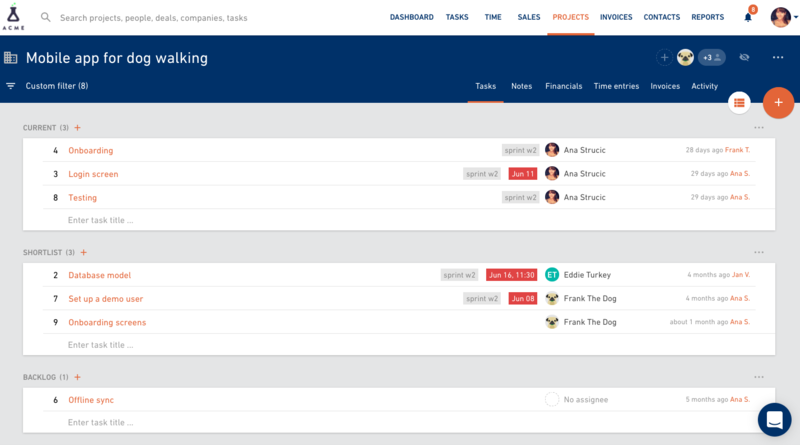 You can view tasks in both a more traditional list-view, and a more kanban-like board view. The third option is a calendar view which enables you to have a better overview of the tasks that have a defined deadline. It takes just one glance of the calendar to see what’s due tomorrow and what isn’t due until next week. Switch between these by using the menu on the right. Click on a small + button next to a task list and add a new task directly to that list. Sometimes you just need to quickly add a few tasks before forgetting something and don't want to deal with assigning tasks and filing in all the other details right away. You can use inline task adding for this purpose. 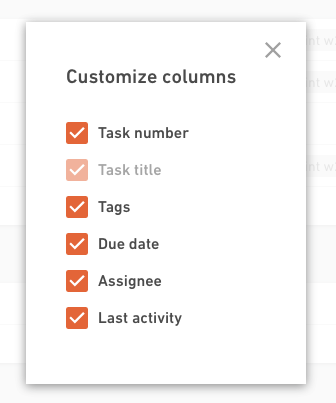 Click on the editable row at the bottom of every task task list and just start typing. You can set up the list of task the way you like it. Get rid of the columns you're not interested to see. 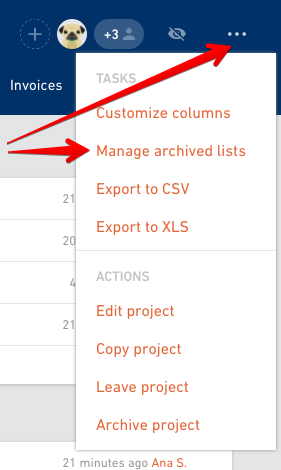 Go to Project menu and select Customize columns option. Turn off (or on) columns you don't (or do) want to see in the task list. Drag'n'drop tasks from one list to another or use this feature for prioritizing task inside a task list (drag'n'drop most important tasks to the top of the list). You can drag'n'drop task lists as well - put the most important task list to the top and push less important lists to the bottom. Task lists can be edited and archived. Go to More options menu and select an action you need. Once you archive a task lists, it's out of the way, along with the tasks in it. But you can also restore it whenever you need it. Go to the Project menu and select Manage archived task lists. 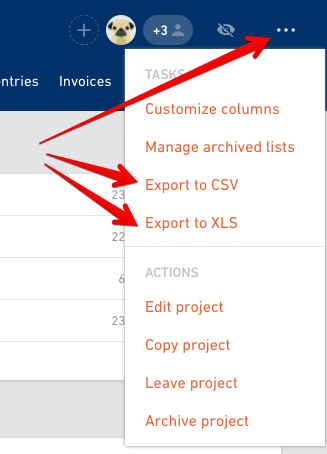 You can export all the tasks from all the task lists to CSV or XLS. Go to the Project menu and select the option you need.